I think most kids love Halloween as much as mine, she is about to turn 4 and is more into it this year than ever. She even decided on her own costume this year! Wait for it....HULK yes Hulk. 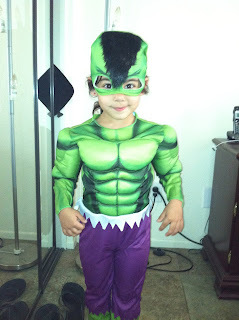 After some scrambling and some help from the other side of the country, HULK is in the house! Anyway, we have done some fun projects this year! Salt clay was one we tried for the first time. We used Fall and Halloween cookie cutters, baked and painted them. She has seen me work on some things for other people and of course wanted to get in on the fun. One thing we made together were these cute skeletons! 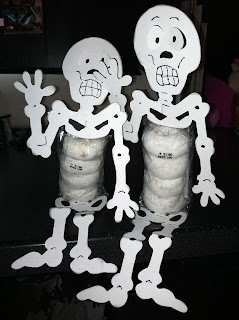 Someone sent me these in a swap last year and I was so excited to try making them this year! Super easy, we just cut a bunch of them with the cricut and then basically remove the center part and added the donuts! Cute right? Here is what they look like before you cut them in half! Here is the finished product! You can just tape or staple the donut package to the top and bottom of the cut. Fold at the joints and these little guys even sit up! I have one more Halloween things to share and I actually made these for a swap because they were requested but my daughter love them and so we made a couple for her too! 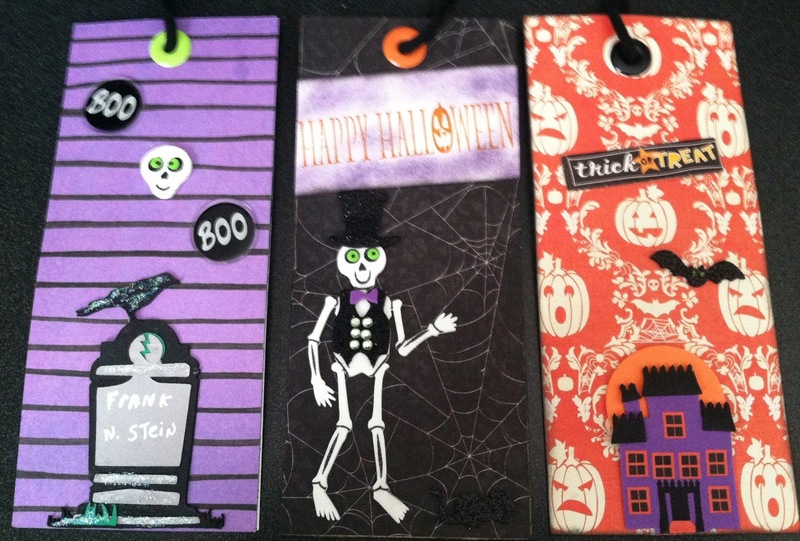 Halloween bookmarks, sure to be a hit with the kids. She loves anything she gets to help make. Sadly, this is going to conclude my Halloween creations for this year, I really need to get into gear for Thanksgiving and Christmas. Not to mention my baby is turning 4 in a couple weeks! Yes, I am still in Halloween mode, and this indeed is one of my favorite projects. I made this for a friend and it was long overdue. Better late than never right? The first thing is another shadow box! 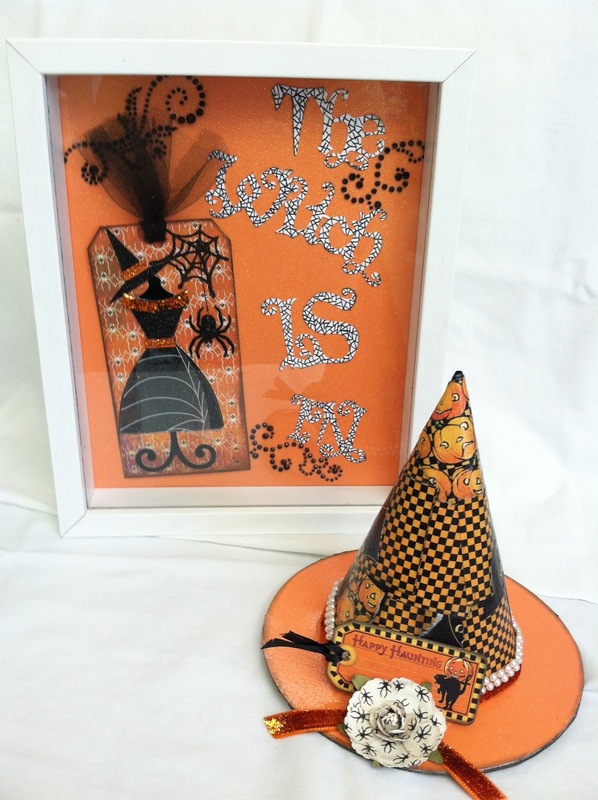 I love the colors in the white shadow box even though white isn't a traditional halloween color. 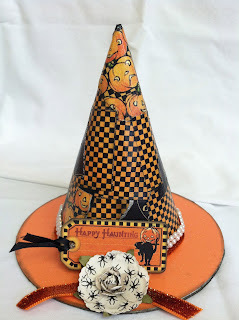 And what is a witch without her hat? The third item in the set is a wicked banner. I am most impressed with this hat. 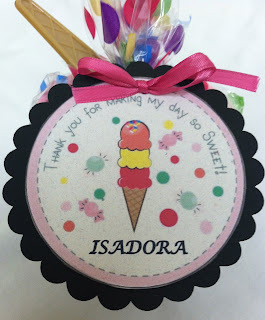 A friend showed me one of these that she bought to alter (and it is beautiful, she made it for Isadora) at Michael's. I went to check out our store and they didn't have any or they were already sold out. So I decided to make it from scratch! I did find a little template online for the cone and rim so I used that and cut it by hand with heavy chipboard. Then I used orange glitter paper and Graphic 45 Happing Haunting, some white pearls and mod podge. Are you ready for another challenge? 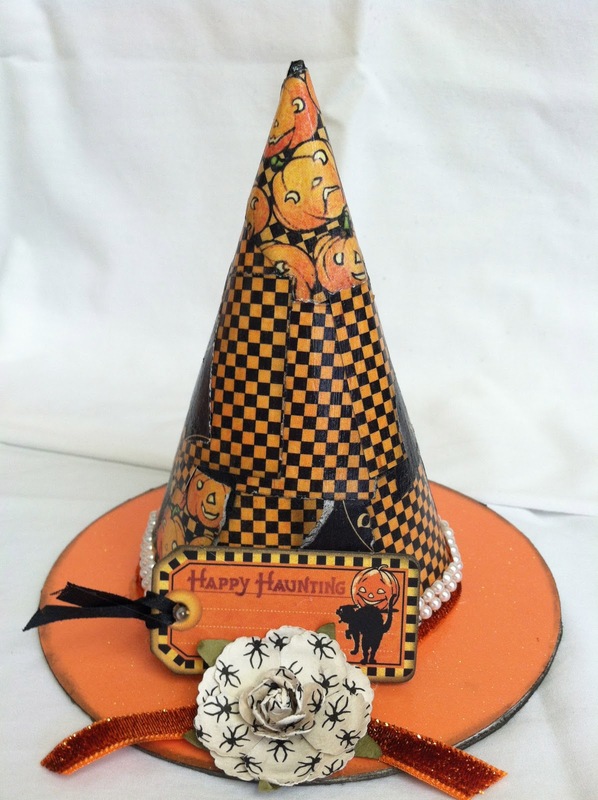 Head over to the Craft Us Crazy Challenge Blog and check out this weeks Challenge! We are finally having some cooler weather here in Southern Cali so I was very excited for the Children and/or Fall theme for this challenge! It actually feels a little like Fall here. The sponsor for this challenge is Stamp Fairy and I was so excited to receive this very adorable Fall image to work with for this challenge! Thank you! 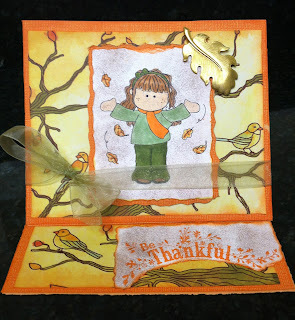 Here is the easel card I made, and the paper is so pretty and the image is so cute, I just didn't want to overdue the card. So I tried to keep it simple. I tend to over do things and they end up looking very busy! I have really, really wanted to make another painter's tray for a long time now. I made a spring themed one a long time ago as a gift and it was a huge hit. So I did the same thing but with a Fall Theme. This is also a gift so I wanted to make a cute card to go along with it. This was so much fun to work on and I actually used a kit for some of the background and then cut and used my own embellishments. Let me know what you think? 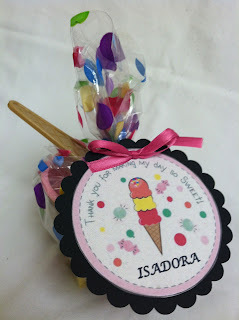 Thanks for looking and don't forget to visit Craft Us Crazy! I really love these trays and I really want to make one for myself for each season. This halloween one was so much fun to work on. If you are looking for ideas for these or feel intimidated there is very talented lady how sells kits for them, you can visit her blog here. She really has some great stuff! Also, here is the link to the Spring themed one that I made and the Fall themed one. Thanks for looking.